The Gasland chef GH90SF is a 36 inch 5 burner, built-in NG/LP gas cooktop that is ETL certified for use in the US & Canada. This model comes ready for natural gas installation and also includes an easy to use LP gas conversion kit. It comes equipped with a thermocouple flame-out failure system (FFD), ensuring the gas will shutoff automatically if a flame is not detected, helping to avoid the risk of gas leakage. This gas cooktop also has a stainless steel surface for effortless cleaning. More Safe: Passed ETL safety certified in US and Canada. 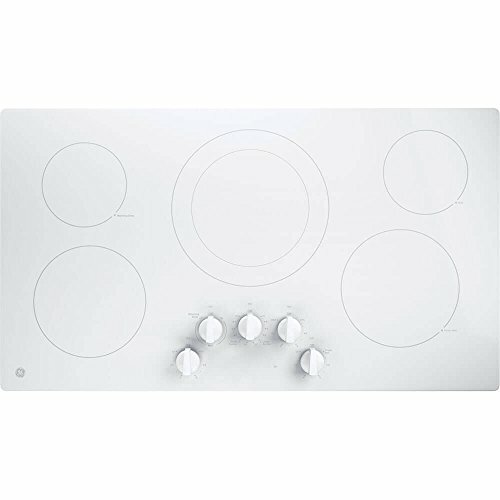 With Spanish Orkli thermocouple protection, you can use this gas cooktop safely. More Professional: 5 different burner, The gas cooktop gas stove top brings you great cooking experience. 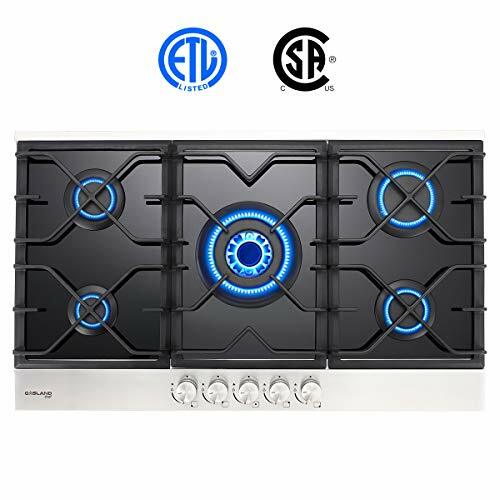 More convenient: We have local professional service team, help you to solve gas cooktop gas stove top problem more efficiently. 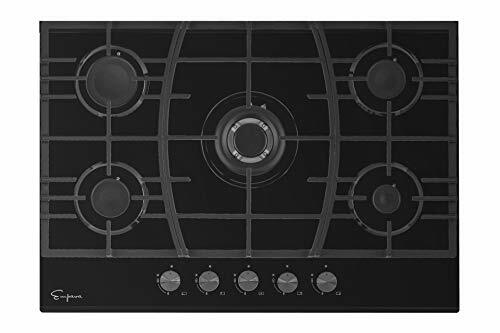 More economical: The gas cooktop gas stove top with stainless steel surface, it is rustless and durable for long time usage. This is a gas unit that requires professional licensed technician to install per city/state safety code. Gas leakage test must be exercised prior to turning on the gas supply. 【ETL SAFETY CERTIFICATION】 ETL certified for US & Canada use & includes CSA certified gas pressure regulator. Product safety and certification are at the forefront of Gasland chef’s advances, ensuring a safe and reliable products for your family and friends to enjoy for years to come! Product size:(WxDxH) 870mm x 500mm x 100mm(34.3″x19.7″x3.9″). Cut out size: (WxD) 840mm x 480mm(33.1″x18.9″). 【AFFORDABILITY & QUALITY】 Fair Price Guarantee! Made of stainless steel. The gas cooktop comes with heavy cast iron grates for long lasting use and durability. Gasland chef’s gas stove top & gas cooktop provide an alternative quality cooking appliance at an affordable price! 【EASY TO CLEAN】 This gas cooktop features a stainless steel top, durable bakelite knobs and cast iron grates for effortless cleaning and maintenance. Make cooking easier by adding a Gasland chef gas stove top or gas cooktop today! 【HIGH POWER BURNER】 Comes ready for natural gas installation and also includes an easy to use LP gas conversion kit. It features a safe Electronic ignition system with (1) 2,800 BTU auxiliary burner, (2) 5,000 BTU semi-rapid burner, (1) 6,500 BTU rapid burner, (1) 9,500 BTU wok burner, giving it a total power of 28,800 BTUs. Features a thermocouple flame-out failure system (FFD) , ensuring the gas will shutoff automatically if a flame is not detected, helping to avoid the risk of gas leakage. 【1 YEAR, 100% MONEY BACK WARRANTY】 Here at Gasland chef, customer service is everything! 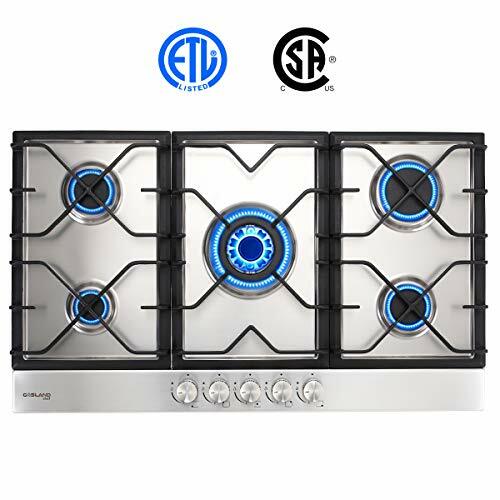 We offer a 1 year, 100% money back product warranty on this gas cooktop and make the customer experience easy and fast through our live chat, phone support & our online helpdesk. Have a question? Give us a call at (844) 538-7890.